Sunshine, Hollywood and sandy beaches define Los Angeles. On our Los Angeles student private group tours, students will have the opportunity to experience all that star studded Los Angeles has to offer. Stroll along the walk of fame and take in the view of the iconic Hollywood sign. Learn about cinematography and film production while visiting Warner Brothers Studios and Paramount Pictures. Tour the campuses of prestigious UCLA and USC and get a glimpse of student life in California. Discover amazing art and architecture in museums like the Getty and Los Angeles Science Center, home to Space Shuttle Endeavor. Experience thrilling rides and roller coasters at famous amusement parks such as Disneyland or Universal Studios. Head west to the coast to where students can take in the attractions, live entertainment, and ocean breeze of Santa Monica and Venice Beach. Here students can visit the historic Missions and learn about the Spanish influence in California during the 1800s. No trip to Los Angeles is complete without experiencing Hollywood, sunshine, and the beach, and our Los Angeles student private group tours can show you exactly that! Los Angeles student group tours can be planned for a minimum of ten students. 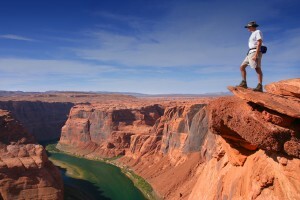 USA Student Tour is experienced in designing engaging and educational student group tours. We can customize a special Los Angeles student group tour for your student group or choose from one of our recommended itineraries.